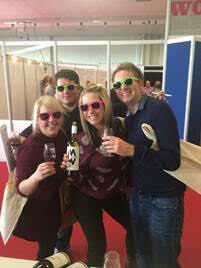 You may have missed out on the Tesco Wine Fairs in London, Manchester, Bristol or Edinburgh but don’t panic: the Most Wanted Wines team is here to give you a sneak peek into the wine crowd, to show you that you can be a wine insider without commenting on tannins and bouquets. Isn’t it just poncey, posh people that go to wine fairs? No! It’s for everyone. You, me, your mates – even your mum! 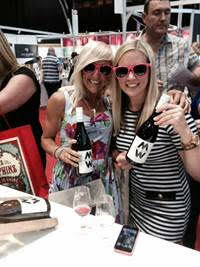 The crowd at Tesco Wine Fairs ranges from people looking to stock up on wines for Christmas to young couples looking for the best wine for their wedding. But then, of course, you’ve got the wine fair regulars, people who proudly tell you they’ve gone every year since the start of time and that it’s the highlight of their year as they travel the world sip by sip. Mostly though, it’s just normal people having a nice day and trying a glass of wine, or two, or three. We love to speak to wine adventurers: those people who push themselves out of their comfort zone and try things they haven’t bought before. But we love trying to cajole those who are a little hesitant to try something new, too. 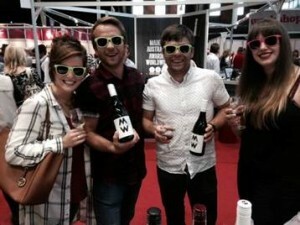 Our most adventurous guests joined in on the party wearing our exclusive Most Wanted Wines sunglasses, showing everyone how you don’t need summer to have a good time: good wine starts the fun. 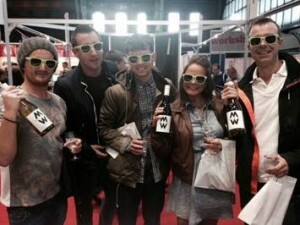 A wine fair might not be a club night, but the atmosphere is always really energetic and buzzy – even before everyone has had a few glasses! It’s always great to see people excited to taste new wines and discover something they haven’t tried before. There’s nothing like honest feedback from the people who matter, our customers. It reminds us and them that we’re not intimidating wine tasters, but that we’re an approachable bunch always ready to answer your questions about wine! We can never get enough feedback, so if you were at any of the fairs drop us a message on Facebook or Twitter – we’d love to hear from you! Time to get down to the nitty-gritty and what we were all down there for: the wine. The Most Wanted Sauvignon Blanc received the most praise from everyone who sampled it. Our new kid on the block, Most Wanted’s Malbec, was really popular too – so watch this space to find out the best way to pair it up with your Christmas meals.